If you have uploaded DNA kits to GEDmatch please check to make sure your settings on the GENESIS side are as you would like them. If you have uploaded duplicate kits, the software that they are using seems to mark the 2nd kit as the duplicate. PLEASE make sure that the 2nd kit isn't the only one you have designated as Public because doing so will keep you from showing up in the One-To-Many Reports of your matches. If that is what you want to do that's fine of course but if that was not your intention you will need to modify your settings. This happened with my cousin's kit. Neither of her kits were showing in the One-To-Many Reports of her half brother, or any of her other matches. It may not be obvious to the manager if they only view that Kit's One-To-Many Report as they will see all the others they expect when running it for that particular kit. If you have taken an Autosomal DNA test and haven't yet uploaded to GEDmatch Genesis please consider doing so if you agree with their User Policy. We have all of our family DNA tests there and have also uploaded or tested at FTDNA & MyHeritage. I have two tests at FTDNA that aren't at AncestryDNA but they are at GEDmatch GENESIS & MyHeritage. I know I need to test at 23&me eventually when it becomes financially possible. When we are researching, I think sometimes we forget to record and research things we remember from our earlier childhood. I know I'm guilty of doing that. Perhaps we think that information will be readily available later. What if we are wrong? 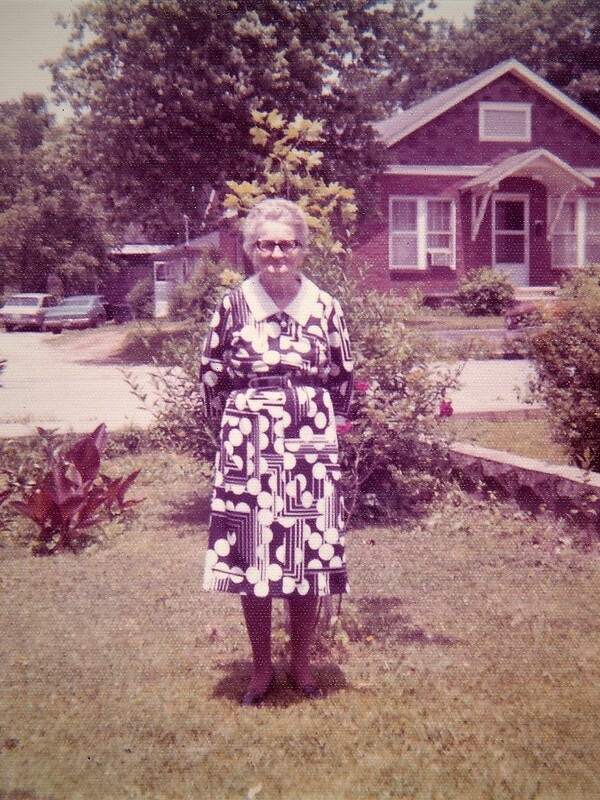 This past year I contacted the Register of Deeds here in Dickson County Tennessee to inquire about the house which my Grandmother, Pearl Jakes Cooke had rented. My Mom was fairly sure that it was owned by the Sheltons which the clerk confirmed. I had also remembered the neighbors. I've written notes in my Grandmother's file about her neighbors. Checking with the Deeds office and also consulting online tax records helped to get a picture of who her neighbors were and also who owns the homes today. Having the listing of the neighbors to verify what I remembered from my childhood helped as I was going thru my Grandmother's papers. As I was recording and preserving ephemera I was able to identify people who had sent postcards and written notes and zoom in on a time frame because I knew the years she had lived at that address. Don't assume that those records will be available when you or your family decide they are important. Go ahead and record them now. My Grandmother in her yard at 203 North Charlotte St Dickson TN abt 1973.
they show the signs of age. 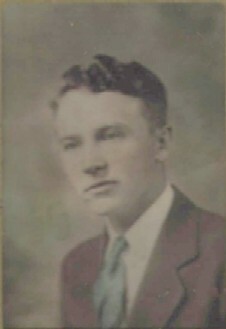 In a previous blog post, I'd written a bit about Garrison King who lived in Dickson Co., TN and some of whose descendants are among my DNA matches. In that post, I also mentioned Gilford Cook who is likely the brother-in-law of Garrison King(Garrison's wife was a Cook). I found two entries in Tennessee Convicts: Early Records of the State Penitentiary Volume 1. These gave me a lot of additional information on him which I used in the summary below. 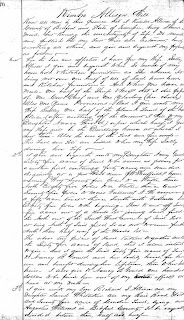 Gilford Cook was born and raised in Franklin County, North Carolina and it was there where he married Sarah Bass, December 2nd of 1821. Gilford was a shoemaker and lived in Wilson Co TN(near Richard Drake) before moving to Dickson Co. TN in 1833. 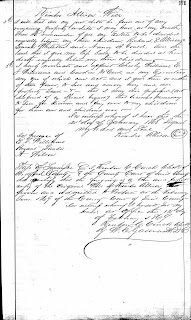 He was charged with and convicted of larceny in a Dickson Co Court and thus sentenced to 3 years in the penitentiary where he was received on the 19th of February 1837. His family lived near Kendrick Myatt's on old Natchez trace 15 miles from Charlotte. Gilford was discharged January 8, 1840, where his conduct while there was recorded as good. 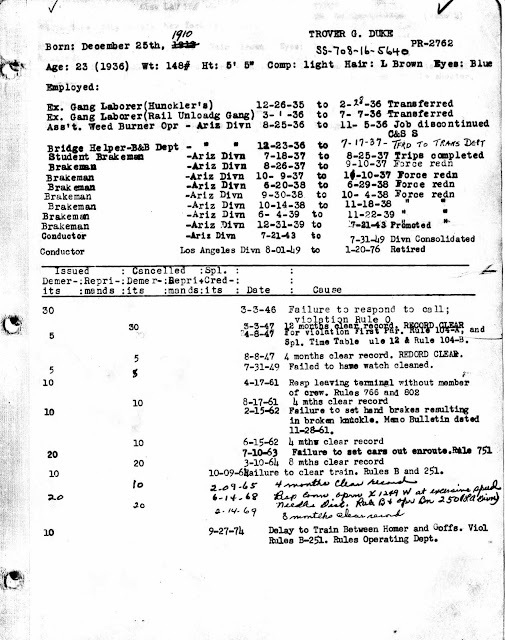 His description according to this record was: age 48, 6 foot 2 inches with dark hair and grey eyes. Below is the 1840 census entry for Gilford Cook's family which would have been almost 4 months after his release. Charles A. & Tomye M. Sherrill, Tennessee Convicts: Early Records of the State Penitentiary 1831-1850 Vol. 1, (Mt. Juliet, Tenn: C. A. Sherrill 1997), pgs. 22 & 197. 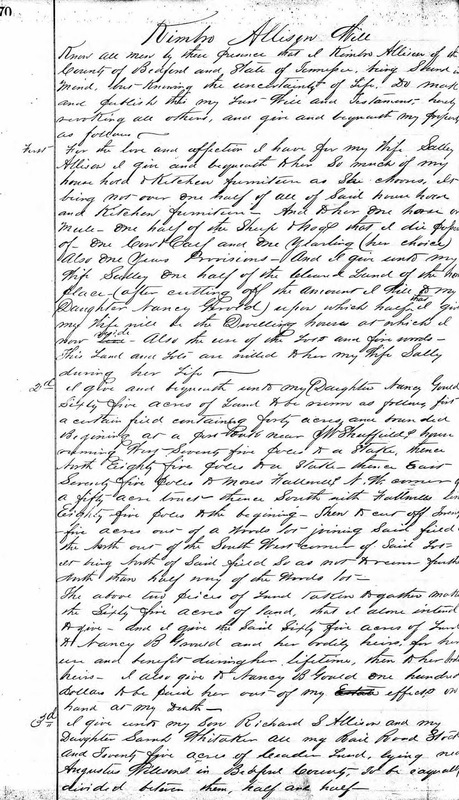 "North Carolina, Civil Marriages, 1763-1868", database with images, FamilySearch (https://familysearch.org/ark:/61903/1:1:Q296-MHWZ : 11 May 2018), Gilford Cook and Sarah Bass, 1821. 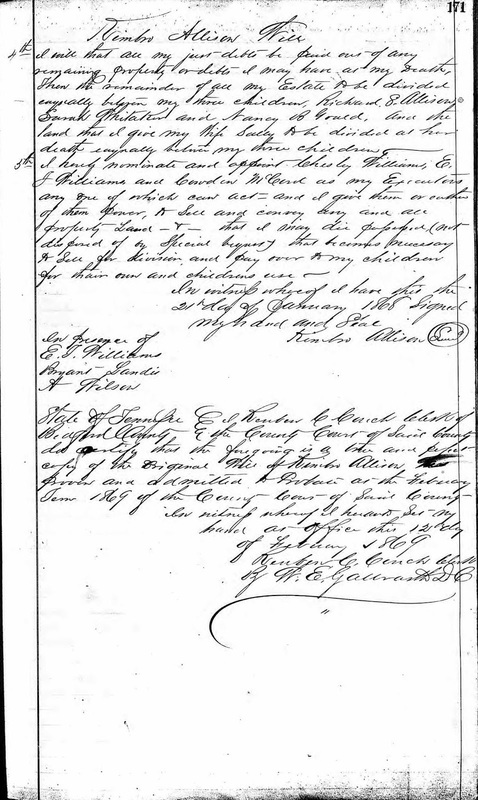 "United States Census, 1840," database with images, FamilySearch (https://familysearch.org/ark:/61903/3:1:33SQ-GYTB-92VB?cc=1786457&wc=31SJ-16P%3A1588669927%2C1588670578%2C1588665902 : 24 August 2015), Tennessee > Dickson > Not Stated > image 11 of 72; citing NARA microfilm publication M704, (Washington D.C.: National Archives and Records Administration, n.d.). This is a listing of the top 5 of each of the top types of resources I use in my research. Some are for educational services and organization while others are more record content focused. 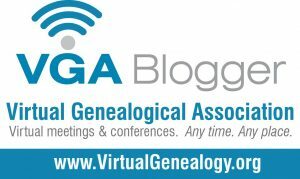 I do also have memberships in Virtual Genealogical Association, TN Genealogical Society, Middle TN Genealogical Society as well as the local Dickson Co.(TN) Historical & Genealogical Society. What are your favorites of each of these categories? 1. Blogs--Most of these blogs I read using Feedly. I do quick reads of the blogs of the major Genealogy Database companies to keep aware of new record availability. 2. Podcasts: Search For and Listen to them via Google Play, Apple Tunes, Spotify or your favorite podcast listening app. I usually listen to these podcasts using Google Play on my phone. If I"m listening from my Desktop PC I use Spotify(basic). 3. Webinars--There are many sites that offer webinars. Some are free for a limited number of days or to attend Live with registration. After the free period, they require subscriptions or membership to access their entire library. The majority of the webinars I attend are free with registration. These are such a great resource. 4. YouTube Channels--A lot of the channels I used to watch are kind of dated now so I've listed below the ones that have current content and I'm always looking for more that would be helpful in all areas of genealogy research. 5. Subscription Services--These are the services that I feel offer the most value to my research. You list likely will vary. The DNA tool sites aren't overly expensive but Ancestry and Newspapers.com can be. I only purchase subscriptions when they are on sale and I don't combine the two because normally the two sale prices are cheaper than what a combined price would be. In November I blogged about Visualizing DNA tested Descendants of an Ancestor Couple. 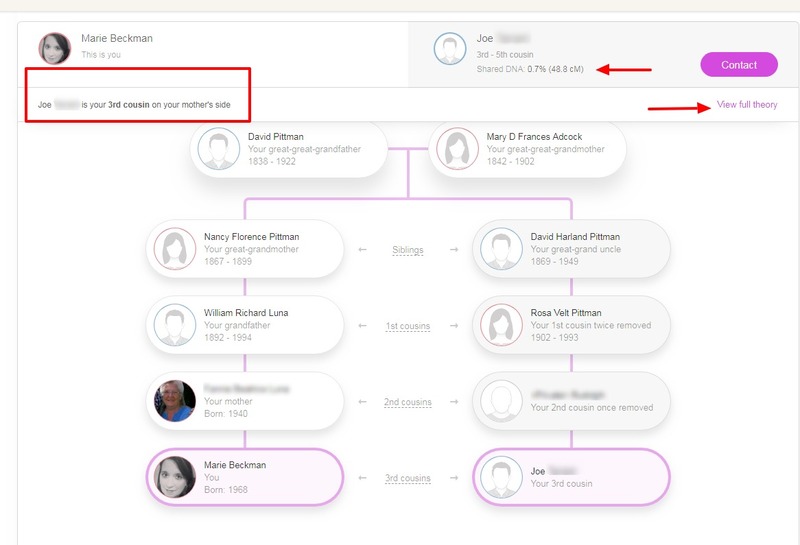 For those who have tested at AncestryDNA, the ThruLines™ tool that Ancestry introduced this past week just made this so much easier. It's not completely automated and even if it were I'd still need to follow good research guidelines but that is a given with any tool or resource. Below is a table which shows the Putman/Tyler Children and how many of their children are represented among my families DNA test matches. The table and the chart I have built using WATO(www.dnapainter.com) also includes any Putman/Tyler descendants that I've identified at other testing sites. When you are using ThruLines™ and see an error in the way it's working please provide feedback using the Feedback pop-up which is on the bottom right when you are viewing a page in ThruLines™ view. I've found and reported several. Feedback reports of errors are necessary to improve the performance and ensure that it works as it's intended. Trace the Story of Immigrant Ancestors in 3 Steps (Power Hour)-- D. Joshua Taylor explained the importance of knowing the context of your immigrant's arrival into the country. Ashley gave us some great ideas on where to search for the customs passenger and immigration lists. "Don't be afraid to use wildcards in your searches of the online databases." Fred talked to us about the naturalization process and records and how they have evolved over time. Blown away by Jake Shimabukuro's talent. Who doesn't like to sing along? Loved it! The Winner of the RootsTech FilmFest '19 was Enge Van Wagoner's "My Name is..."
Sarah Laskey spoke about the science behind the 23andme health studies. This session contained so much information. She talked about the types of stone used and gave the time period in which each type was popular. This brought back some good memories of my own Cemetery touring. Joy is the author of "The Family Tree Cemetery Field Guide." The announcement of the winner of RootsTech FilmFest and the date for RootsTech 2020 which will be February 26–29 were the top news of the day.